How could something so seemingly harmless cause so much pain? Why, when the laceration is so seemingly minuscule, is the pain so intense? Well, science has an answer those who have suffered from the standard stationary slice, Science Alert reports. In fact, your fingertips have the highest concentration of pain receptors (called nociceptors) in the entire human body. The quicker and more intense the signal sent to the brain, quicker and more intense the response, just ask anyone who has tried to bare-hand a scalding hot cast iron pan. Remember, anyone is susceptible to paper cuts until every office in America switches to the environmentally-friendly Etch A Sketch. 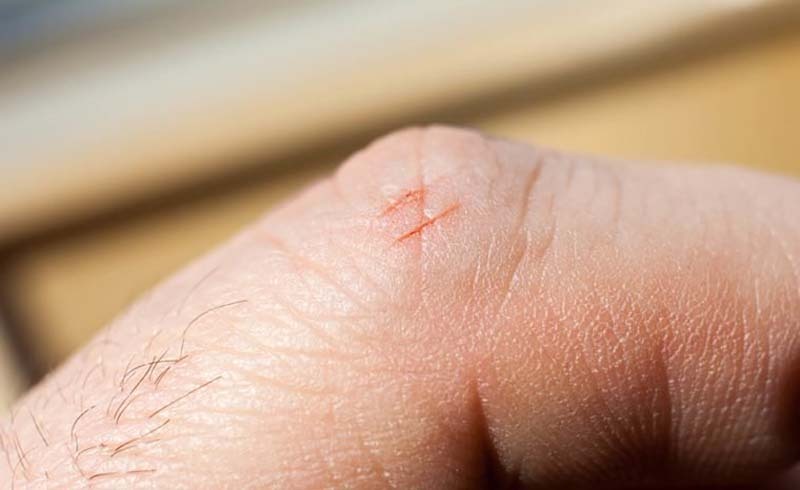 If this wound happens to you, remember to buddy tape your fingers.